Do you have an iphone 5S, iphone 5C, iphone 5, iphone 4S, iphone 4 or iphone 3GS? Do you want to Download cydia on it? You can learn what is cydia, how to download cydia, cydia install, cydia supported iOS versions in iphones and requirements for cydia download with iphones. Cydia is a software application for iOS which is allows jailbroken Apple idevices such as iphone, ipad and ipod touch. If you download cydia you can browse lots of applications, software packages, themes, tweaks, ring tones, etc. Most of the softwares available on cydia are free. To download cydia, first you have to jailbreak your iphone with a compatible jailbreak tool for the iOS version in your iphone. Before download cydia, you must check the version through Settings → General → About → Version. Then you have to choose a compatible jailbreak tool for the iOS version on your iphone to download cydia. There are number of tools for download cydia developed by different collaborations. You can choose most compatible and faithful tool for download cydia and install cydia on your iphone. You can download cydia with geeksn0w 2.9 to your iphone running on iOS 7.1 or iOS 7.1.1. This is an semi untethered jailbreak tool developed by Winocm. Download geeksn0w 2.9 is totally free. You can download cydia and install cydia with both Windows and Mac operating systems. 1. Download geeksn0w 2.9 into your computer. 2. You must install Java development kit to your computer. 3. Right click on the geeksn0w folder and select “Extract here” or double click on geeksn0w folder to extract geeksn0w 2.9.zip fole. 5. Connect your iphone 4 to the computer via USB cable. 6. Then click “Jailbreak” button. 7. Enter your iphone into DFU mode to continue. 8. After reboot your iphone 4 several times and re-enter into DFU mode several times, Cydia download will complete. 9. Now your iphone 4 is jailbroken successfully. Back up your iphone via iTunes. Download geeksn0w 2.9 for ( Windows / Mac ) your computer. Install Java Development Kit for your computer. Install iOS 7.1 firmware for the iphone 4. Evasi0n7 is an free untethered jailbreak tool developed by evad3rs. You can download cydia for iOS 7.0, iOS 7.0.1, iOS 7.0.2, iOS 7.0.3, iOS 7.0.4, iOS 7.0.5 and iOS 7.0.6 with evasi0n7 1.0.8. You can download cydia and install cydia with evasi0n7 for your idevices running on above iOS versions. Evasion7 is compatible with Windows ( XP minimum ) and Mac ( 10.6 minimum ) operating systems. NOTE : Back up your iphone before start evasi0n7 jailbreak. If the process will fail, you can restore your iphone via back up file. 1. Download evasi0n7 1.0.8 for your computer compatible with the operating system. 2. Right click on evasion7 folder and select “Extract here” or double click on the folder to get evasi0n7 1.0.8 zip file. 3. Windows users should right click on evasi0n7.exe and click “Run as administrator” and Mac users can double click on evasi0n7.exe. 4. Connect your idevice to the computer through a USB cable. 5. Click the “Jailbreak” button on the evasi0n7 window to start jailbreak your iphone. 6. Your device will reboot itself. 7. After that you can see an evasi0n7 icon on iphone. Then reboot it again for download cydia. 8. Now your iphone is jailbroken and you can open the cydia icon on the home screen of your iphone. Click user and install cydia to your iphone. Download cydia and install cidiya to your iphone running on iOS 6.0.1 – iOS 6.1.2 versions. You can use evasi0n jailbreak tool for jailbreak and download cydia to your iphone 5, iphone 4S, iphone 4 and iphone 3GS. Evasi0n is free untethered jailbreak tool developed by evad3rs. Evasi0n download is compatible with Windows, Mac and Linux operating systems. 1. Back up your iphone using iTunes. 2. Download evasi0n compatible with running operating system on your computer. 3. Get the evasi0n.exe file and run it as administrator. 4. Connect your idevice to the computer through a USB cable. Evasion will detect your iphone. 5. Click the “Jailbreak” button on the evasi0n window and wait till finish the process and several reboots. 6. Download cydia is now completed. 7. Open the cydia icon on iphone and wait for “Preparing filesystem”. 8. Open cydia icon again and click “User” to install cydia. 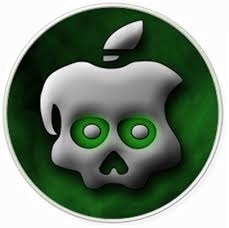 Absinthe 2.0.4 is an untethered jailbreak tool developed by Chronic Dev Team for iOS 5.1.1 running idevices. You can download absinthe 2.0.4 to jailbreak iphone 4S, iphone 4, iphone 3GS, ipad, ipad 2, ipad 3, ipad 4, ipod touch 4G and ipod touch 3G. So you can download cydia and install cydia to your iphone using absinthe 2.0.4. 1. Download absinthe 2.0.4 to your computer. 2. Right click on the absinthe folder and select “Extract here” or double click on the absinthe folder to get absinthe zip file. 5. Connect your iphone to the computer. Absinthe 2.0.4 will detect your device. 6. Click the “Jailbreak” button on the absinthe window. Then it will start to jailbreak and download cydia. Wait for few minutes. 7. The device will reboot, wait untill complete it. 9. Then you can open the cydia icon in your iphone and click “User” to install cydia to your iphone.